Senate Minority Leader Chuck Schumer (D-N.Y.) said he was the victim of a fake news hit on Tuesday, and has turned over to Capitol Police a document that purports to detail lurid sexual harassment accusations by a former staffer. Why it matters: This was an apparent effort to dupe reporters and smear a senator — both symptoms of an amped-up news environment where harassment charges are proliferating and reporters have become targets for fraud. The former staffer told me in a phone interview that she did not author the document, that none of the charges ring true, and that her signature was forged. She said she had never heard of the document before Axios took it to Schumer's office for comment on Tuesday. Matt House, Schumer's communications director, told me: "The document is a forged document and every allegation is false. We have turned it over to the Capitol Police and asked them to investigate and pursue criminal charges because it is clear the law has been broken." House continued: "We believe the individual responsible for forging the document should be prosecuted to the fullest extent of the law to prevent other malicious actors from doing the same." A password-protected PDF of the 13-page document was shopped to Axios and other outlets. 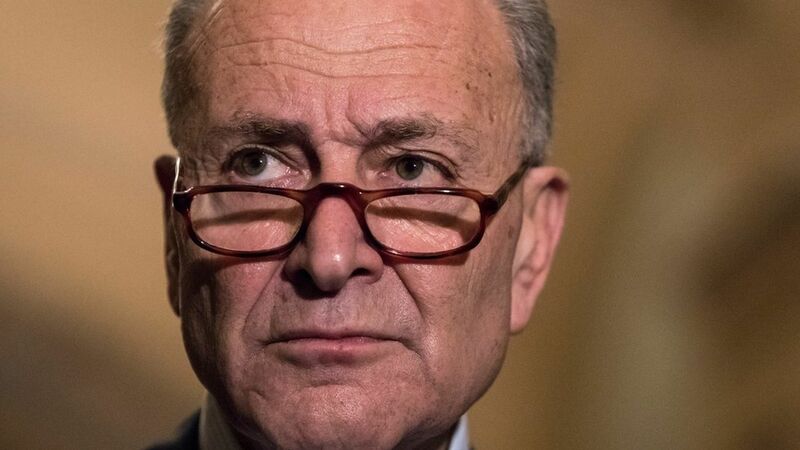 The document, which is dated 2012 and has the file name "Schumer_Complaint," looks like a lawsuit filed in U.S. District Court for the District of Columbia. One of many red flags: No lawyer for the staffer is named. The woman named in the document was a legislative staffer for Schumer from 2009 to 2012, and is now a career employee of the federal government. The former staffer said she took the matter to Washington, D.C. police on Tuesday. She said the police told her they were unsure of their jurisdiction in the case. She said she now plans to go to Capitol Police. She told me in a statement: "The claims in this document are completely false, my signature is forged, and even basic facts about me are wrong. I have contacted law enforcement to determine who is responsible. I parted with Senator Schumer's office on good terms and have nothing but the fondest memories of my time there." Axios agreed to her stipulation that she not be named, because she said she is the victim of a crime. "The document contains an allegation of inappropriate behavior on September 16th 2011 in Washington, but Schumer was in New York City." "It contains an allegation of inappropriate behavior by Schumer on August 25th 2011 in Washington, but Schumer was in France." The source tells Axios that reporters from the Washington Post, CNN, BuzzFeed, The New Yorker and ABC all inquired about the document Tuesday. Be smart: Look for more hits like this, aimed at victimizing both reporters and public figures.